KTDC Motel Aarams are wayside motels providing several facilities for the travelers. The services begin at 7 a.m. up to 10 p.m. They provide breakfast, lunch, dinner and snacks. There are also provisions for organizing party from here especially for those travelers who travel through the respective roads. There is facility for advance booking also. They concentrate on keeping the toilet and the surroundings clean. This Motel is located at a distance of 70 km from Thiruvananthapuram by the side of MC Road in Kottarakkara and around 80 km from Kottayam. This motel is located on the Punaloor – Thenmala road. A main feature of this motel is good parking places and neat environment. It is located nearby the Kollam – Shenkottai NH. The panoramic view of Palaruvi waterfall from this motel is very beautiful. Group stay is allowed for around 30 people and it would be beneficial for a group of students visiting here. This motel is located between Thiruvananthapuram and Ernakulam National Highway at Krishnapuram. The motel has a large parking area and is easily accessible. Nearest bus terminal: Kayamkulam, about 4 Km. Nearest railway station: Kayamkulam, about 6 Km. It is located in Alappuzha town and is at a distance of around 70 km from Ernakulam. This motel is located in the middle of Kumarkom – Ernakulam road. This motel is located near to the Athirapally waterfalls. It is located near the Kuttipuram Bridge and faces the famous Bharathapuzha River. It is located in Palakkad, on the Thrissur – Coimbatore highway stretch. This motel is located on the Kozhikode – Mangalore National Highway at Vadakara and lies around 50 km from Kozhikode. 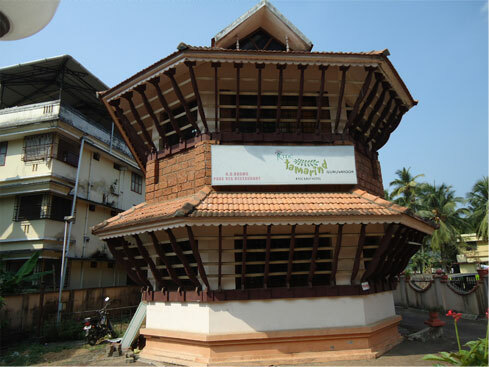 It is located on the Kannur – Mangalore National Highway near Parassinikadavu.